April 7 is the day the World Health Organization chose as the World Health Day. Every year WHO celebrates this day with the goal to discuss health issues around the world that affect millions of people. This year, the theme is Food Safety. With globalization comes the importance to ensure the safety of food supply, since ingredients travel long distances before they reach the consumers plate. 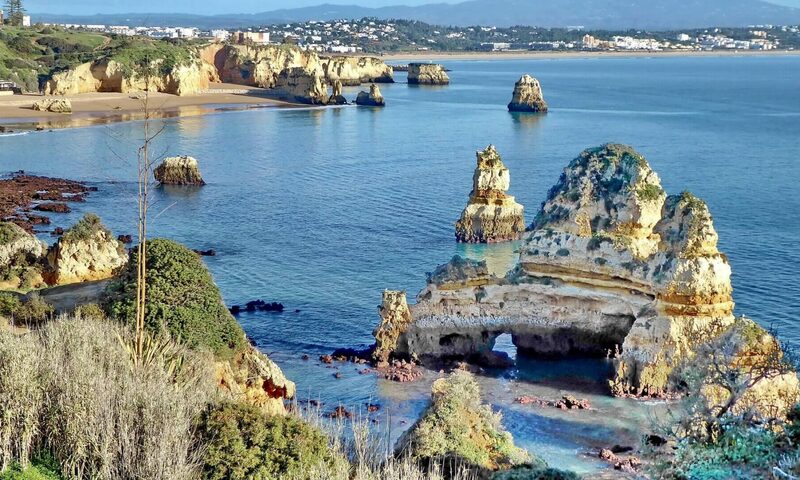 Medical Port wants to celebrate the World Health Day by discussing a topic that is transversal to everyone no matter their age, gender or nationality. The topic is health prevention. Health prevention is about taking care of your health and your family’s health making sure everything is fine by doing a regular health check-up. Every person should do a health check-up once a year. When was the last time you had one? These health check-up exams can outwit diseases that aren’t manifested yet. And early detection is the key to a successful treatment. Appropriate preventive care is important in every stage of life, but it becomes especially important after a certain age, usually 40 for both males and females. Besides a regular health check-up individuals should live a healthy life, by paying special attention to the way they eat, sleep and exercise. Eat well is one of the main drivers of a good health. The Mediterranean diet, based on fresh ingredients, is a great way to start. Reducing the amount of meat and increasing the amount of fish, vegetables, fruits and grains are the grounds of a balanced diet. Sleep well is also important and a better nutrition brings better sleep. It’s not about how many hours people sleep per night but is about feeling rested in the morning. Practicing exercise is a driver of good health and everyone should do it as part of a healthy lifestyle. Even the ones who can’t practice exercise, everyone should at least walk 20 to 30 minutes every day. Physical inactivity is a major health problem worldwide and the benefits of exercising affect several health outcomes. A healthy lifestyle is like a circle, where eating, sleeping and exercising go together and influence each other. Influencing the overall health condition. 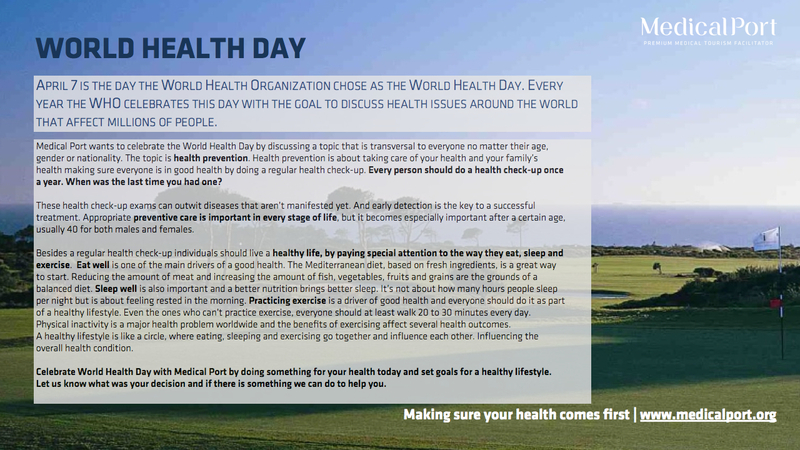 Celebrate World Health Day with Medical Port by doing something for your health today and set goals for a healthy lifestyle. Let us know what was your decision and if there is something we can do to help you.